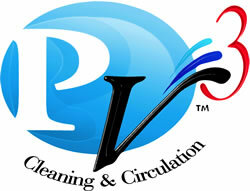 PV3 is an automatic In-Floor pool cleaning and circulation system. The system is built into your pool during construction and is specially engineered to clean your entire pool including floors, steps, benches and spas. Pop-up nozzles deliver a high pressure jet of water that directs debris to the central drain, where it is then removed and sent to the canister, which is positioned for easy deck side removal. When not operation, the PV3 nozzles retract back into the floor, making it virtually invisible. And unlike unsightly vacuum hoses, you can swim in your pool while the system is operating, ensuring unrestricted enjoyment time for your pool. Each system is custom designed through the use of CAD engineering program, guaranteeing a clean pool no matter how dynamic your pool. Whilst the nozzles are in operating they are also aiding the circulation of the pool water. Traditional pool design uses an old fashion method of returning filtered water back to the pool through wall inlets near the surface of the water. This means that the heated and purified water is not being delivered to the bottom where it is really needed. By returning heat and chemicals near the surface, the wind and sun can quickly remove them from the water. Tests run by an outside company have shown that non In-Floor pools consume up to 50% more chemicals and 30% more heat. The use of an effective circulation system such as PV3, significantly reduces the heating and chemical costs for the life of your pool.